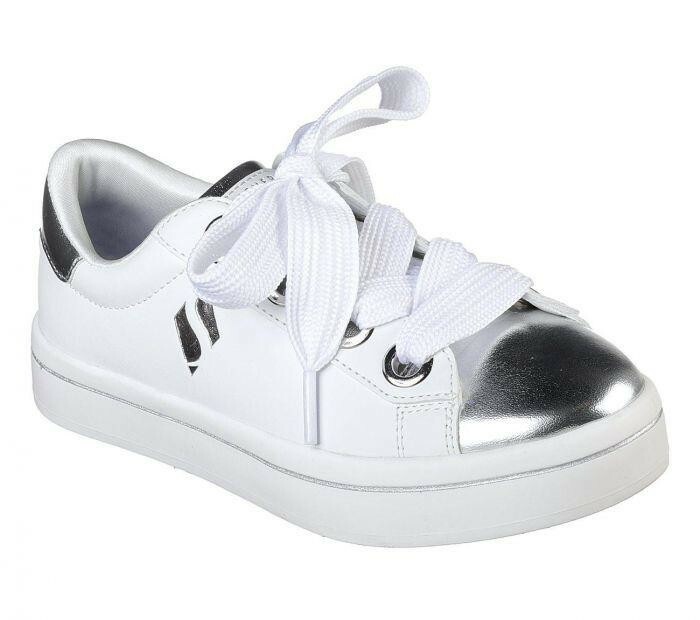 Clean, fashionable style wins the awards with added comfort in the SKECHER Street Hi-Lites - Medal Toes shoe. 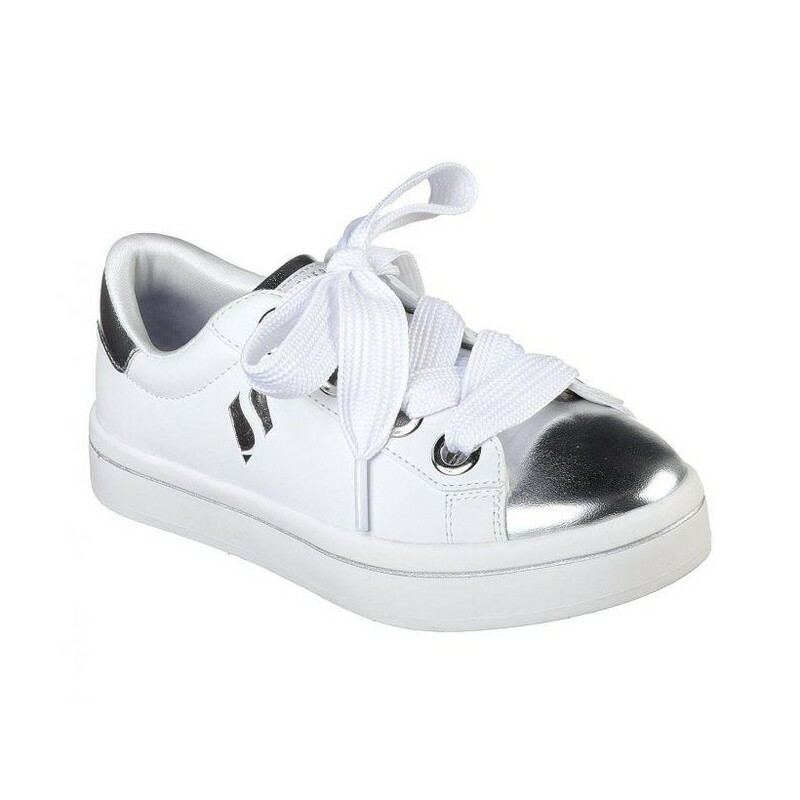 Smooth clean leather-textured synthetic and shiny metallic synthetic upper in a lace up sporty fashion sneaker with stitching and contrast coloured overlay accents. 'Fat Laces' front, Air Cooled Memory Foam insole.